If you’ve ever had the pleasure of owning a cat you’ll know that our little feline friends are naturally self-sufficient, skilled predators. Much like their untamed counterparts, the lion, tiger, and the rest of the big cats, their natural instinct is to go out on the prowl to hunt and catch their own food. That is why most cats will try to pounce on every rat, rabbit or bird that crosses their path. This inherent instinct is so hardwired that a cat actually knows what it needs to eat to fulfill its nutritional requirements. But, since our homes, gardens, and streets are not exactly overrun with wild-catch for cats, the responsibility of ensuring optimal nutrition for your fluffy friend falls on you – the pet owner. And, this is a responsibility that should not be taken lightly. The overall health and well-being of your cat will depend largely on its diet. So much so that feeding your cat the wrong food can lead to health issues such as obesity, diabetes and dental diseases among others. It is essential that you make smart choices when it comes to your cat’s diet. If you want tips on the do’s and don’ts of cat feeding, look no further. In this guide we’ll cover everything we think you need to know about cats and their food. Cats are classified as obligate carnivores. This simply means that biologically, a cat must eat meat to stay healthy and in good shape. Like all obligate carnivores, cats lack the physiological makeup required for the digestion of plant material. Where most creatures produce glucose (the universal source of energy) by breaking down carbohydrates (found in grains, rice, pasta, etc), cats use a different approach. As obligate carnivores, they do not produce salivary amylase – the enzyme responsible for initiating the process of converting carbohydrates into glucose. Instead, they have pathways that turn amino acids (the building blocks of protein) into glucose that will later be used as a source of energy. And, since cats can only meet their daily energy requirements by breaking down protein, eating meat is an absolute necessity for survival. Without animal-based protein in the diet, cats will start utilizing existing body protein such as muscle mass to provide the energy needed to maintain normal cell function. This is unlike facultative carnivores, which can turn to non-animal foods to satisfy their nutritional requirements in instances when meat is inaccessible. 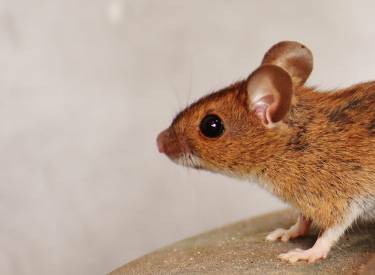 The Mouse: more than just a cliche cat food? Protein is not the only essential nutrient a cat needs to keep going. Take the cats’ stereotypical favourite meal – the mouse. It is literally a complete nutrition package since it offers meat (animal-based protein), key minerals (including ash, a mineral content in bones), plus vitamins, fatty acids, and taurine (an amino acid found primarily in the muscle meat of animals that helps cats to thrive). This is essentially everything a cat needs to maintain overall good health. Protein provides energy, fatty acids aid in nutrient utilization and transportation, while vitamins help with all sorts of functions like metabolism regulation, normal growth, and cellular functions. Minerals, in turn, are needed in almost all physiological reactions (oxygen transportation, enzyme formation, PH balance, etc). To sum up, a balanced diet for a cat should look something like a mouse – i.e. meat that is rich in protein as well as minerals, vitamins, & fatty acids. So, whatever option you choose when feeding your cat (commercially bought meals or homemade dishes), just remember that it all comes down to biologically appropriate ingredients (mackerel, beef, tuna, chicken, trout, and so on) that satisfy all the nutrition needs of your cat. For example: 1 cup of raw ground chicken with bones, 1 cup raw salmon, 1 egg yolk, and 2 tablespoons of chicken broth all blended together in a food processor are a few excellent examples of homemade cat food. Canned tuna, sardines, or salmon from the store are also equally as good. The liver is another wholesome alternative to complete cat food. In addition to being both a source of meat and fat, liver is a good source of vitamins. For first-time cat owners, the assumption is that cat food is simply meat in a tiny can. But, there is a lot more to cat food than that. The market is filled with all sorts of options including food for kittens, diet prescription meals, organic foods, flavoured foods, and the list goes on. These contain about 10% moisture and 90% matter. The matter part is usually high in protein and can include anything from dry kibble, to cereals, to specially designed cat biscuits. For many cat owners, dry cat food is usually the go-to option. It’s the cheapest in the bunch, the most convenient to serve (simply pour into a bowl), and has the longest shelf life which means you can use one bag of the food over a few months. Dried food is also easy on a cat’s teeth and gums and can therefore keep dental problems at bay. There is just one problem to worry about – dry cat food is not very palatable. Consequently, a cat will not gorge on dry food but only eat what is necessary for survival. On the plus side, you can leave dry food out all day for your furry friend to nibble on at will without fear of your cat overeating. But, if dry food is all that you offer, there is a high chance that your cat could eventually refuse to eat if you don’t provide a bit of variation. A reversal of dry foods, wet cat food consists of 10% matter and 90% moisture. To maintain this form, wet foods are stored in airtight cans, pouches, or trays, that help preserve both the chunky and wet (can be in either gravy or jelly form) part of the dish. Nevertheless, once opened these foods have a short shelf life before going bad. The caviar version of cat food, wet foods are very tasty and easy to chew. If given the chance, most cats will eat nothing but wet food. In fact, you should make it a point to portion out wet food because if given free access to the food, your cat will continue to eat even when already full thereby increasing risk of obesity. Healthwise, wet foods are also a great choice since they not only fulfill a cat’s protein requirement but also come with a high amount of moisture that makes for a good source of hydration. Unfortunately, they are the most expensive of the different cat food types. They tend to stick to a cat’s teeth and can therefore lead to dental problems if eaten continuously over a long period. A cross between dry and wet cat food, semi-moist foods contain around 55% – 75% matter and a moisture content of 25%-45%. This combination gives the food characters of both the wet and dry foods. Like wet foods, semi-moist cat dishes are more expensive than the dry versions, and have an equally short shelf life as well as an increased risk of causing dental problems. Semi-moist foods also inherit the appearance of dry food’s individual pieces. However, since the moisture is more and the matter less than that of dry foods, semi-moist cat foods are chewy rather than crunchy. This makes semi-moist foods another favourite meal among our domestic felines as a cat will happily munch everything in its plate in one go. Much as cats may love this type of food, semi-moist kibble raises some serious red flags that make it particularly harmful to a cat. These foods are said to include preservatives in high concentrations, added sugars, and a high caloric density, all of which have the potential of causing harm to a cat’s health when ingested in high quantities (anaemia, diabetes, obesity, etc). For this reason, these foods make good treats, but not an everyday meal. We’ve reached the end of part 1. 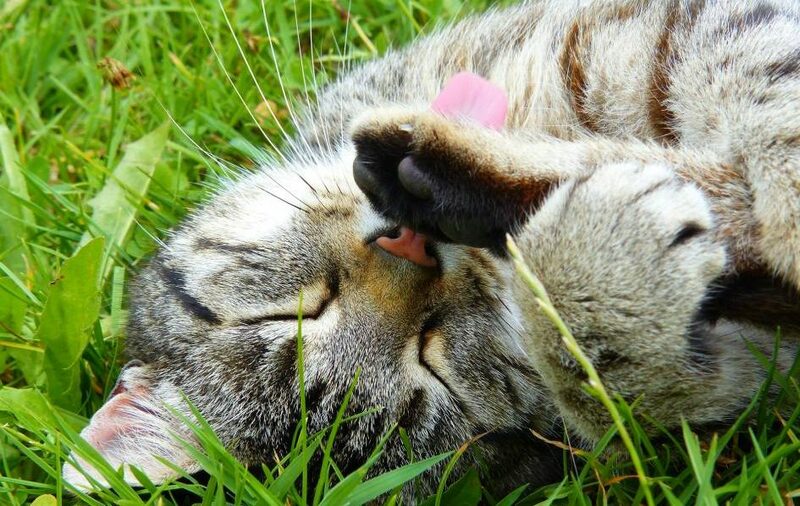 In this section we’ve covered the key components that constitute a ‘good’ diet for a cat. And, we’ve looked at how the different cat foods stack up when compared to each other. In part 2 we’ll look at: food aggression, how much you should feed your cat and some simple guidelines to ensure your cat won’t get bored with the food you provide. You can read part 2 here. If you found this guide useful please share it so others can benefit too.